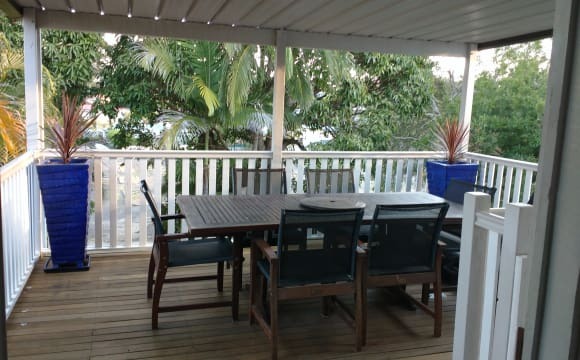 Our peaceful family home is on beautiful Bribie Island, with sandy beaches and national park close by for you to enjoy. The available homestay room is spacious, with a balcony over looking the canal, to the north. It has a queen bed, air conditioning, ceiling fan, built in wardrobe, lounge couch, dining table, bookcase, desk, bar fridge and kettle. The bathroom upstairs is comprised of 3 separate rooms (vanity, bath and shower, and toilet), and there is a reading area with a comfy sofa on the landing. Downstairs there is a kitchen, dining area, and lounge with TV, for your use, as well as a shared, covered patio with outdoor kitchen, bar, dining and lounge where you are welcome to relax, or cool off in the pool. Car parking is available on the vacant block next door. Internet is included. Working holiday visa travellers are welcome. Reduced rent is negotiable for stays longer than 4 months. There is an extra charge of $20 per week for couples. House rules - Absolutely no drugs, no smoking, no loud music, no parties. Social alcohol consumption at a low level only, please. My property is very clean and tidy. Located in a very safe area.180% view of the city. close to all amenities.Entertainment area. laundry and Breakfast included. Very few house rules. I have 1 large double bedroom with en-suite. I have 1 large double bedroom to sure bathroom, one other student. I have 2 ensemble size singles in the bedroom. 5 min walk to the bus stop. 20 min to the city.Zone 1. Central to all amenities.Shopping centres, fitness centre etc. Entertainment area. Have all the amenities that meet student requirements. We are in a nice area with bush views. Nice breeze with location. Area is very quiet with not much traffic and people are friendly. 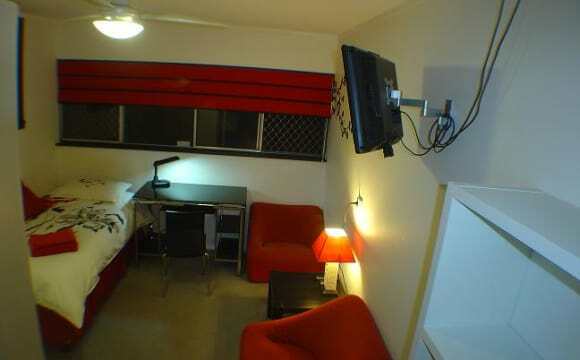 close to shops, USQ and bus and train station. good place to go for walks with great location. House is fully air ducted throughout with outside cameras to monitor your car and safety We have Netflix, Stan and Wi-Fi. Room available is fully furnished with ensuite and is very private as it is located downstairs with all other bedrooms upstairs. We have an inside cat. Also have three living areas, separate laundry, games room with table tennis and bbq area. Have a bar fridge which am happy to move to your room if you want to keep your food separate. This is a homestay two floors. Five rooms at the bottom and five rooms at the top (where my room is). There is a huge living, two toilets, one bathroom, and balcony at the front and a huge backyard where people liked to relax after a long day. 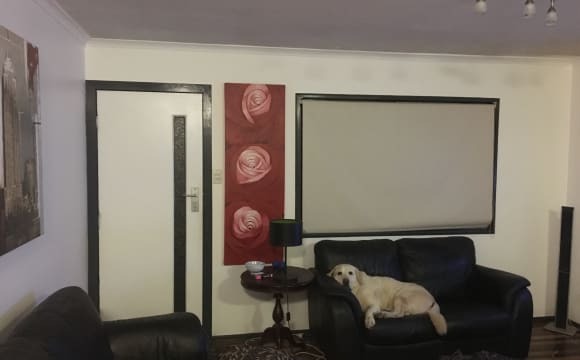 The house is well located, clean and quiet area. We all working full time, and enjoy having a movie night, or a glass of wine on Friday night. Unfortunately, I have been re-localised to a new workplace and must leave my actual lease of a 1 year to someone else. I have done 6 months, got 6 months left. 4 Bedrooms, 2 Bathrooms, 2 Toilets. The house is very clean and fully furnished. Your large room has a ceiling fan, Queen bed, huge closet space and view to the courtyard. All rooms have lockable key entry doors for security. 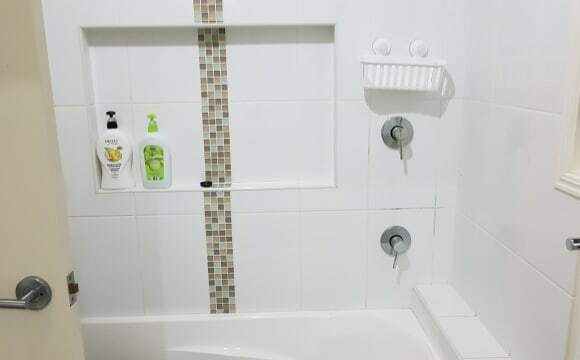 You will have full access to the main bathroom with a shower, bath and toilet. The place has 2 toilets so no need to wait for anyone. You have full access to the 55inch Smart TV in the air conditioned lounge room with Netflix included. Unlimited NBN. Neat courtyard with no maintenance required. Secure, has property manager, gym and close to public transport. It is known as a Peaceful Hacienda situated in a large garden. We have a choice of several beaches seafood restaurants water sports and things to do like visit weekend markets museums and a very vibrant Art Centre. Two level, four bedroom home. 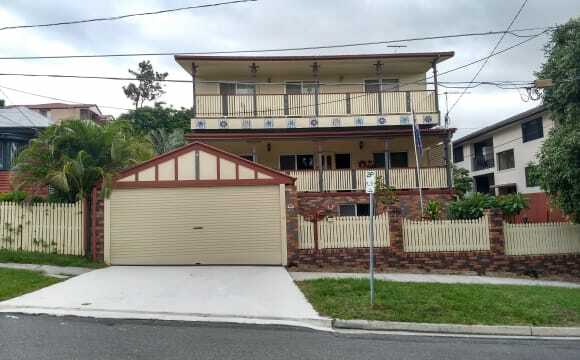 Three bathrooms in total (2 available for use) Pool and outdoor area Bus stop nearby taking you to city, Stafford and Chermside areas. Close to party central, great view and just close to everything in general. 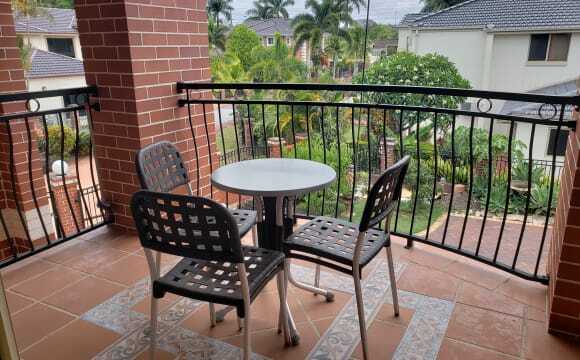 Historic Grand Queenslander in exclusive area close to all amenities with cafes and restaurants nearby and transport, safe and quite, close to the CBD. The downstairs part of the house which has 3 bedrooms all with large built in wardrobes, one has it's own powder room and the main bathroom has another toilet . There is a modern kitchen and large rumpus room and a hallway with lots of storage. We have the prettiest, welcoming single and double bedrooms with your own lounge, kitchenette and cinema TV to share. We are located 8 km from the city center, 7 km from the University of Queensland, 4 km from Lone Pine Sanctuary, 2 km from CSIRO. Smoking is allowed outside only. No parties please. The bus stop is down the road and buses come every 10 min taking you anywhere quickly. 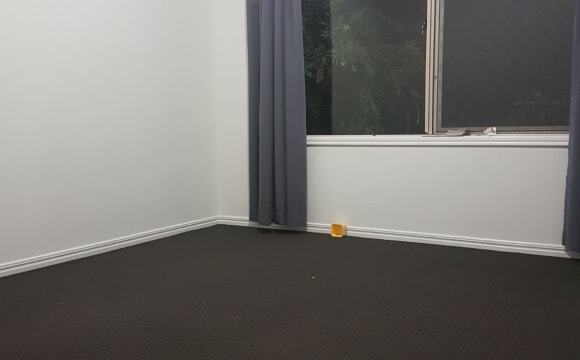 The weekly rent for a single room is $200, for a double room $300, both include fast NBN WiFi, water, electricity, use of guest kitchen, guest lounge and laundry. 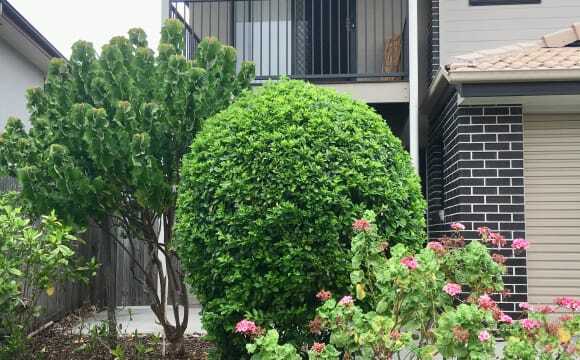 It’s in a cul-de-sac, is quiet and backyard has a nice bush view. Family-friendly Street where neighbours are respectful of each other. 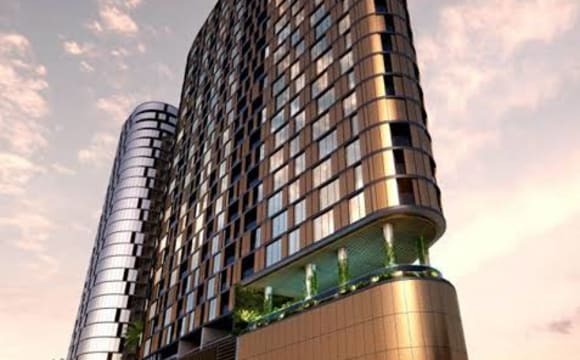 Close to Orion Shopping Centre, USQ and Springfield Central train station. 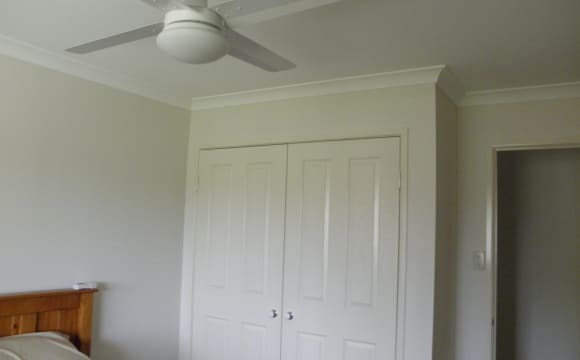 Room has ceiling fan. Wi-fi is 24/7. One room available in a newly-built home in the Rochedale Estates. The Estate has on-site security, extensive walking and cycling paths, as well as shared facilities, including a heated lap pool, function room, tennis courts, 24 hour gym and theatre room. Easy access to CBD and universities, being minutes from the Eight Mile Plains bus station. There are also bus stops on Gardener Road going directly to the CBD. Approx. 10 minutes to both Westfield Garden City and Carindale, and 15 mins to the Brisbane Airport. The kitchen is spacious and modern, there is a relaxing alfresco area with a great view and nice breeze, the rooms upstairs have their own living room area and bathroom. The room is currently furnished with a double bed and there is a built in wardrobe on first floor and it will be your own area - no disturbance at all. Property is within 10 mins walking distance of two shopping centres, two train stations and a major northside bus exchange. Internet is pretty decent for ADSL2. We already have a fridge, microwave, washing machine, stovetop cooker, oven, couch, TV. 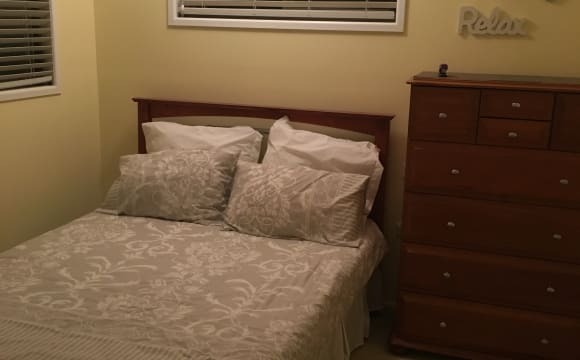 Comfortable king size bed, own bathroom with bath and separate shower, off street parking.